A typical worker goes to work from 8 AM to 5 PM, Monday through Friday. We typically spend around 260 days out of a year at work. So, why do we spend that much time working? For some, the simple answer is money, however most workers want to feel a sense of purpose and belonging WHILE making money AND going to work. 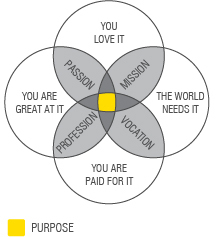 But, when our sense of purpose fizzles and the motivation is gone we become indifferent in our workplaces. Recently, there has been a lot of buzz around workplace indifference. Gallup released a popular study in 2017 stating that only 33% of America’s full time employees are engaged at work, while 16% basically hate going to work every day. The rest of the full time employee population is disengaged and is 'just there'. Indifference is contagious, so how do we stop it? Our society, is rapidly combining work and life, seeking a career that we don’t consider work. We are eager for an experience in how we get the work done, and how we impact our peers. We each want to do our best work and know that the work matters. How can the company’s mission be visible or experienced? Are the department’s goals visible and easily adaptable? Are the company and departments' achievements visible? How can resources be more accessible, or even enticing to use? Are teams who are in high demand, such as IT, easily accessible? Can furniture be specified and organized to still allow for heads down work even in a highly collaborative environment? Is there an opportunity within the program to provide a human development space? A space to play music, meditate, etc. Where can employees gather to collaborate and connect in areas that aren’t typical meeting spaces or involve food/beverages? Is there an opportunity to create a wall or space which allows everyone to interact and participate in meaningful creations that relate to what is going on in the company? The disengagement of our fellow workers is disrupting our industry, and luckily is bringing to light the importance of human centered design. Guiding people through challenges and transition is the core of what we do at PDR. We are able to understand what our clients need in order to gain interest in what is right for them. We believe in the importance of having an experience and we care about our fellow employees living their purpose. If 260 days are spent at work, we should have the resources and spaces to create a passionate and engaged workforce. For more information on how engagement affects profit click here. As an Interior Designer, Andrea has a passion to create deeply memorable architectural experiences. Andrea loves seeing how the established and new, come together to create beautiful solutions. Andrea leverages her depth of project design knowledge to make defining the central idea and concept of a project into a simple, and efficient process.